I realize this is a specific post to a limited number of people, but what the heck. You'll have plenty of chalk supply on hand when this is over! 1. 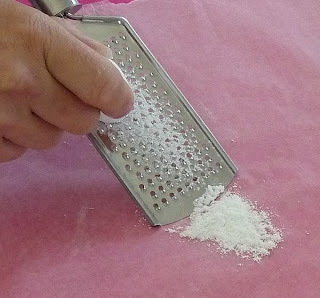 Grate the chalk onto the sheet of wax paper; by lightly I mean don't use a lot of pressure since you don't want chunks at all. I did this on wax paper so the powder would slide off easy; you could use a regular sheet of paper of course. 2. I added some baby powder to help make the chalk a bit silkier. 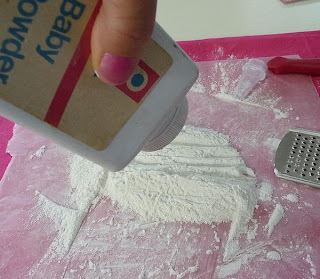 I think plain baby powder could be used, but it wouldn't brush away as easily as the chalk. 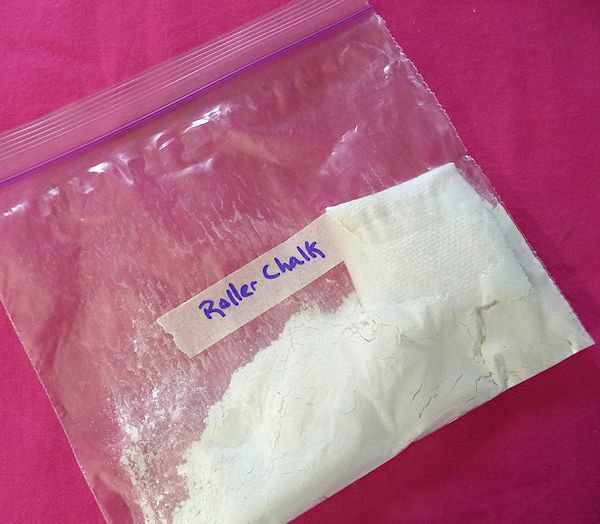 Honestly you don't really need the baby powder, but it did help fill in my wheeled lines a bit. 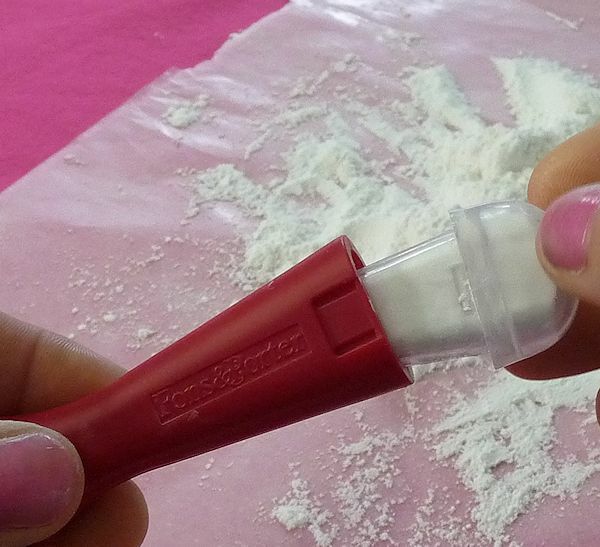 I added say 1 Tbsp to 1/2 C of chalk - no precise measuring here! 3. Mix it up, sift/push the chalk powder into the empty chalk tube. Then reinsert the tube into the wheeled carriage. 4. 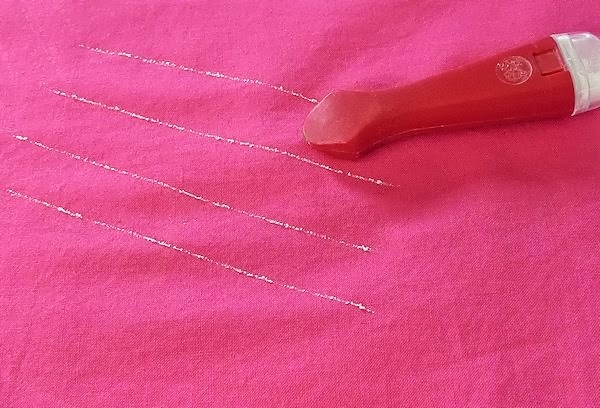 Draw a few test lines. There's no reason why it shouldn't draw, but go ahead and give it a try! 5. 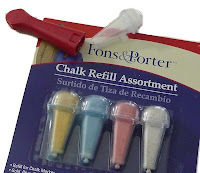 Store the extra chalk you made! 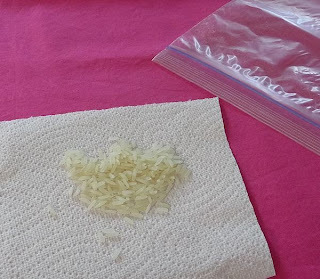 Fold the rice up inside the paper towel and tape it shut. 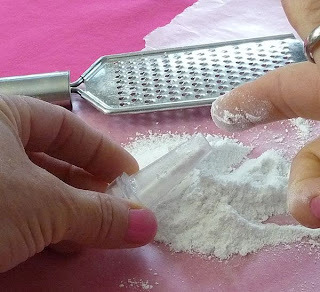 Put the rice and chalk powder into the baggie and seal. 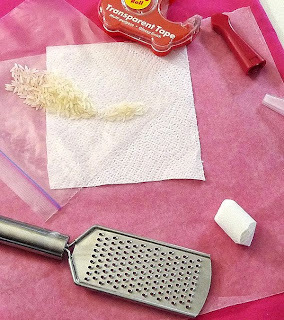 The rice will keep moisture from clumping up your powder much like silica gel packets you get in your new shoe box.